VZiPhone showing up again in Best Buy Inventory systems, Feb 10th in stock? We all know the intricacies of the famous Best Buy inventory system. 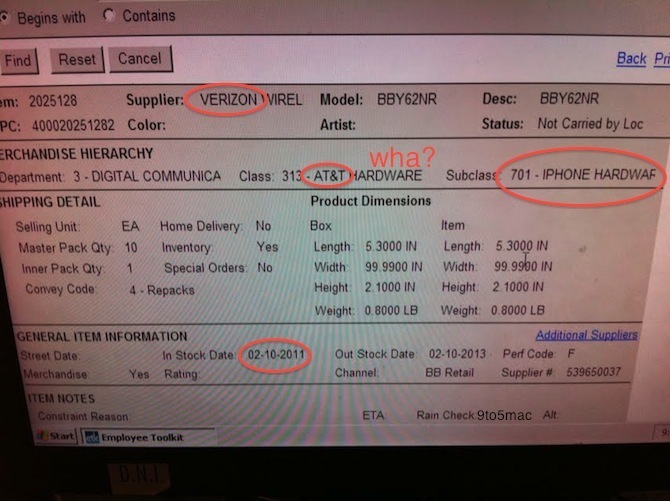 Today our tipster sends us this wonderfully confusing screenshot which seems to indicate that a Verizon iPhone type product will indeed be entering the retailler at some point in the near future…perhaps around Feb 10th. This follows similar rumblings. It is also interesting to note that Best Buy is showing a $699 price point (below) rather than the $649/$749 points that Apple showed earlier.